Sight Lines: A Night of Performance in Dialogue with the Work of Michael Galasso is a curatorial project by Catherine Galasso. Initiated to create new dialogues around the body of musical work by composer Michael Galasso, her late father, Catherine has invited six artists/pairings of varied aesthetic, artistic, and creative concerns to create 5-7 minute choreographic responses to unpublished recordings of his compositions. The responses offer new ways to illuminate how the continuous dialogue of music and movement—one that Michael was steeped in— take place across time and artistic tradition. A focused effort in meaningfully locating Michael’s work to audiences that may be unfamiliar with his musical contributions, Sight Lines works broadly to uncover layered artistic histories, while encouraging a personal and proactive approach to performance. Michael Galasso was a minimalist composer active in New York in the 1970s and 80s before relocating to Europe, where he wrote mainly for film, dance and theater up until his death in 2009. He is most known for his compositions for theater director Robert Wilson and Wong Kar-wai’s In the Mood For Love soundtrack. Georgia Gavran, a Wisconsin native, and Jonathan Doherty, a Western Massachusetts native, both graduated from The University of the Arts receiving their BFA in Dance Performance under the direction of Donna Faye Burchfield. Originally introduced at school, they later found each other in Brooklyn, NY, where the friendship blossomed into collaborators. Georgia, animated and sarcastic, and Jonathan, quirky and mercurial, found themselves generating complex and interwoven movements which sparked intrigue to create more work. Utilizing the abstract pairing, they exist in a whimsical and erratic realm. Georgia and Jonathan have shown work together around the New York area at venues such as Brooklyn Arts Exchange, Triskelion Arts, Dixon Place, JACK, and The Tank. Johnnie Cruise Mercer/TheREDprojectNYC is a choreographer, educator, and freelance performer in the New York City area. As the choreographer/artistic director of Johnnie Cruise Mercer/TheREDprojectNYC, his work with the company has been presented/commissioned by The Center for Performance Research-CPR, Bronx Academy of Arts and Dance (BAAD! ), The Dance Place of DC, Gibney Dance: Agnes Varis Performing Arts Center, Judson Church Movement Research, Greenspace, The Bolls Theater of Detroit, The Jamaica Performing Arts Center, 92Y Harkness Dance Center, NYU Tisch School of Dance, Brooklyn Arts Exchange (BAX) as well as recently at NYU Skirball’s AUNTS . He has been in residence at Chez Bushwick Inc, 92Y Harkness Dance Center (2016-2017 AIR), NYU Tisch (2017 Summer Residency Program), was a 2017 BAX Fall Grant Recipient and is currently a 2017-2018 CUNY Dance Initiative Artist in Residence, a 2018 Choreoquest AIR at Restoration Plaza and a 2017-2018 AIRspace Grantee at Abrons Arts Center. Mr. Mercer is a native of Richmond, Virginia, a BFA graduate from Virginia Commonwealth University’s Department of Dance and Choreography. Kristopher K.Q. 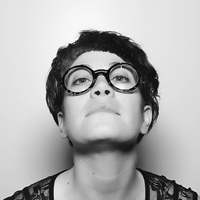 Pourzal is a queer, black, white, Iranian-American performance-maker/performer. Born and raised outside of Washington, DC, he currently resides in Brooklyn, NY. He makes solo performance using movement, text, food/stuff, and sound. Concepts that are currently moving him include: Black Reason (Achille Mbembe), the Racial Imaginary (Claudia Rankine and Beth Lofreda), Gay Cultural Objects (David Halperin), and Late Capitalism and the Ends of Sleep (Jonathan Crary). Ambika Raina grew up dancing as an extension of cultural heritage. From Michigan, she is continually influenced by her existence in and connection to foreign places. Her work is rooted in subtlety and understated charm and is always reflecting what it means to be a citizen of the world. In New York City, Ambika has presented work at Center for Performance Research, NYU’s Jack Crystal Theater, Westbeth, and Triskelion Arts. She has also presented work in Ann Arbor, Detroit, Durham, Chicago, and at the American College Dance Festival in Milwaukee. She has worked with artists Joanna Kotze, Brinda Guha, Netta Yerushalmy, and the Red Hot Chili Peppers and performed at Madison Square Garden, HERE Arts Center, Dixon Place, Triskelion Arts, and a residency showing at Jacob’s Pillow. With a background in Bharatnatyam, Ambika holds a BFA in Dance and a BS in Biopsychology, Cognition, and Neuroscience from the University of Michigan, and she asks questions about a lot of other things, too. Michael Galasso (1949-2009) was an American composer and violinist based in Paris, France. His film scores include In The Mood For Love, and Seraphine for which he was awarded a French Cesar for Best Original Music. He was a collaborator of theater director Robert Wilson for more than 30 years, writing music for A Letter For Queen Victoria (1974), Les Fables de La Fontaine (2004), and Quartett (2006) among others. Galasso composed and performed music for choreographers Andy de Groat, Karole Armitage and Lucinda Childs. He has two albums on ECM Records, Scenes (1983) and High Lines (2005).